How is Thai Tea Made? Originating in Thailand, Thai tea is a sweet and refreshing beverage that is widely popular in teahouses. This drink is typically served over ice and stands out from other cold drinks due to its rich amber color and creamy upper layer. 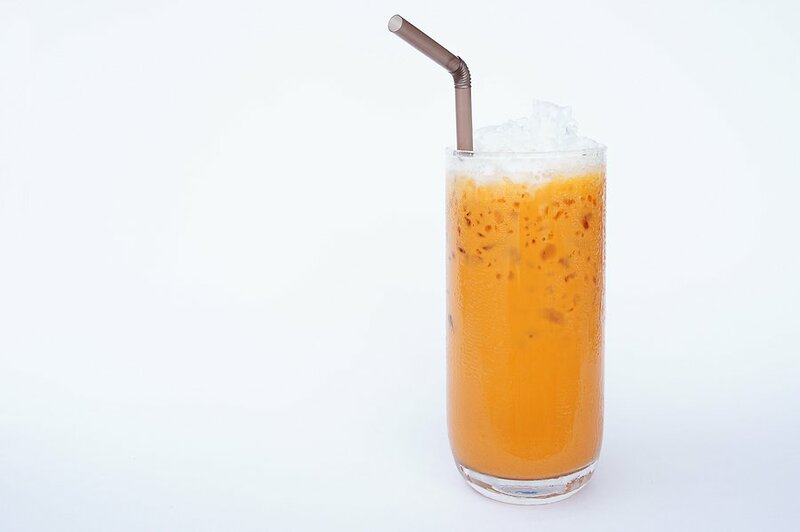 Thai tea starts with a strong base of black tea and is often spiced with ingredients such as cinnamon, cardamom, and tamarind, which give the brew its unique flavor. To make Thai tea, water is first brought to a boil and then removed from the heat. Second, the tea and spices are steeped in the hot water for 5 minutes. It’s important to note that the tea base must be strong because it will later be diluted with milk. Next, the sweetener is mixed in, followed by the milk. After allowing the mixture to reach room temperature or cooler, the tea is poured over ice and then topped with condensed milk or cream. At Happy TeaHouse & Café, we offer Thai tea and other specialty drinks like bubble tea and fruit smoothies. To find out more about our teahouse serving Houston, call us today at (713) 469-3275.